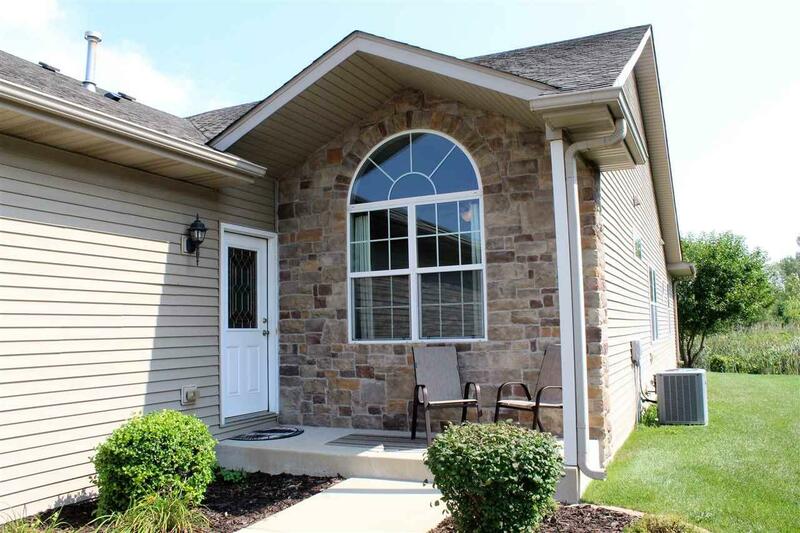 Royal Hawk Crown Point offers this Care Free 1-Level Living with hardwood floors throughout. Upon entering the home you'll fall in love with the spacious open layout, wide halls & doorways & serene views of nature & tranquil water. The Eat-in kitchen offers ample cabinets & counter space with bar seating & large pantry. 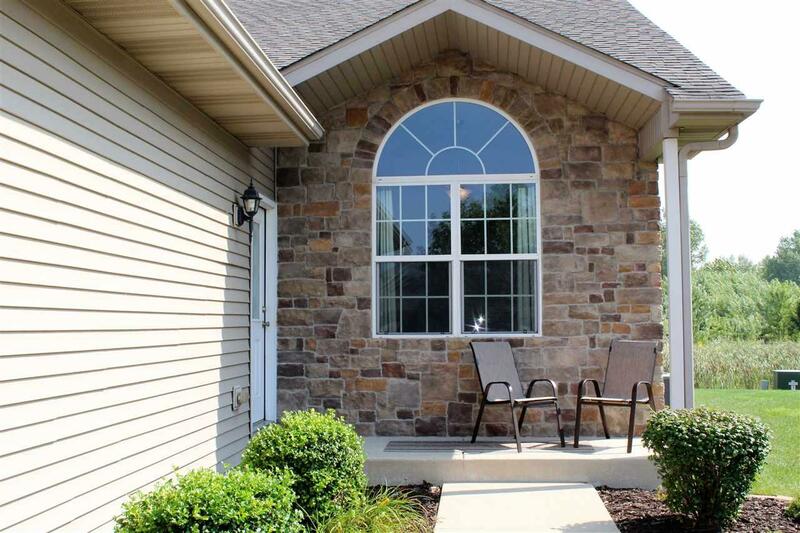 Living room features crown molding & opens into the picturesque sunroom. The peacefulness of the outdoors can be enjoyed on your private deck. 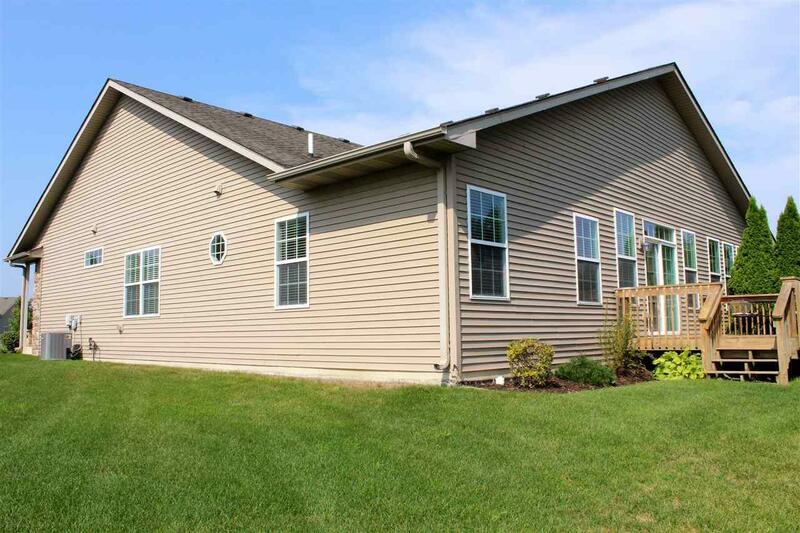 Back inside you'll love the master bedroom with large walk-in closet & private master bath. There is a 2nd bedroom with double entry doors along with a front room that was previously used as formal dining with its vaulted ceilings. The front room can easily be closed up with double doors for 3rd bedroom or private office. The Royal Hawk community location is private with primarily residents as its through traffic & residents can walk the sidewalks & get together at the community park! Quick drive to stores golfing & downtown. Listing courtesy of Renata Lasalle of Weichert, Realtors - Nwi & Company.